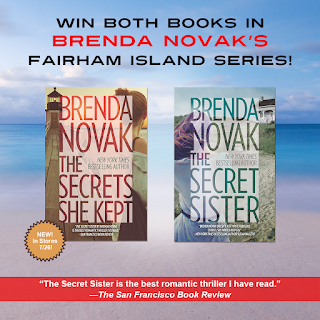 I had the best intentions of reading Brenda Novak's THE SECRETS SHE KEPT, as well as the first book in the series THE SECRET SISTER, prior to offering this giveaway. However, you know what they say about the best laid plans... My summer has been nothing short of crazy and I haven't read near as many books as I had hoped! In the meantime, that doesn't mean that I can't share what I have learned about these two books. Exciting, emotional, intense. 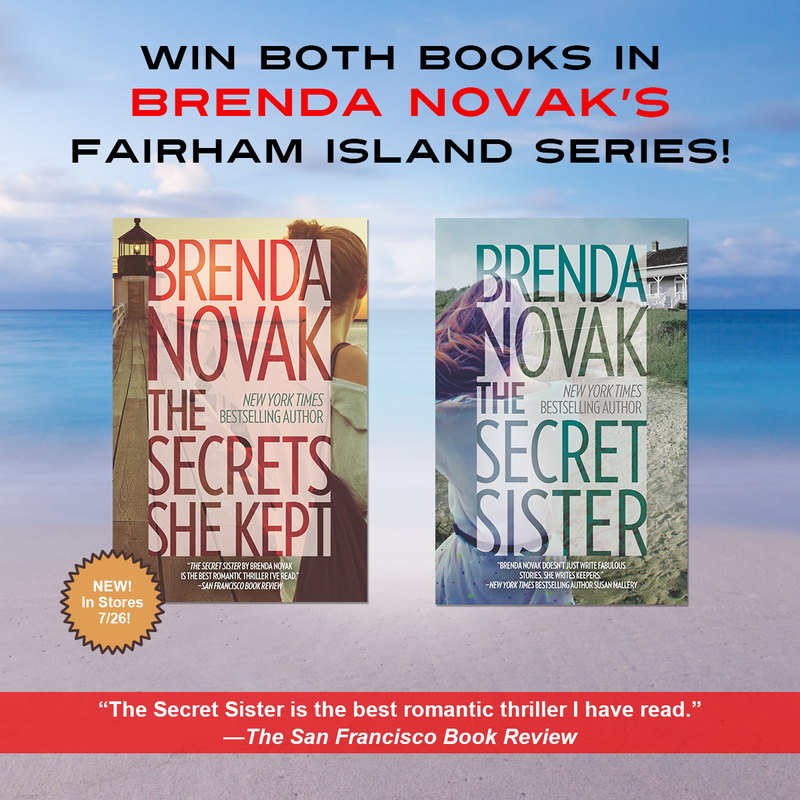 The thrilling follow-up to New York Times bestselling author Brenda Novak's highly acclaimed The Secret Sister. The things that happen in families are always surprising and sometimes shocking! I am so excited that I have both THE SECRETS SHE KEPT and THE SECRET SISTER to giveaway to one lucky reader. To enter, just fill out the form below before August 10th at 11:59 p.m. EST. I will randomly select and notify the winner the following day. This contest is open to those of you with U.S. addresses only. Good luck!